Create a mesmerizing experience for your clients. 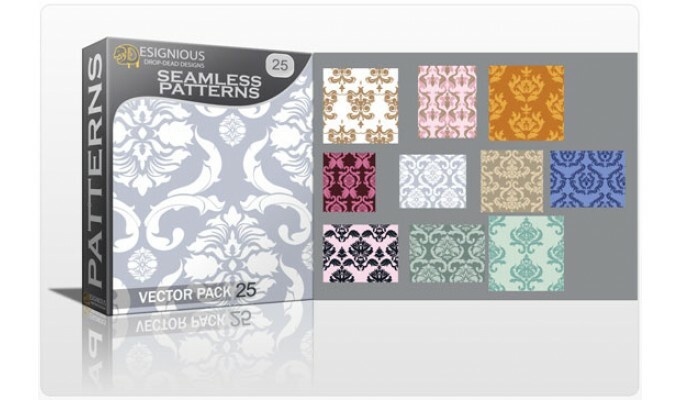 Add these vector patterns to your design box and speed up your development process. 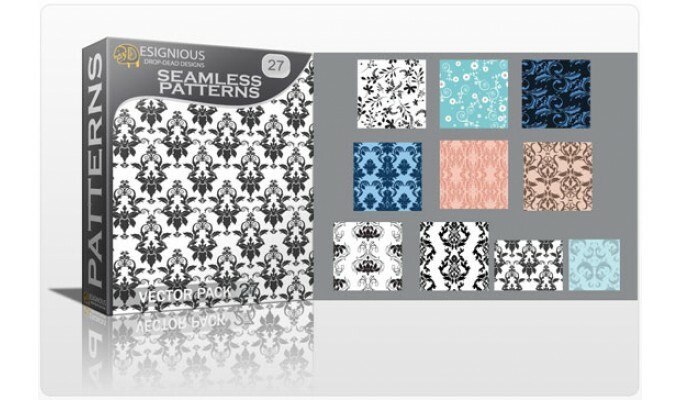 These patterns can be used for print, vinyl cut, interior decorations, clothing industry, apparel, software or web designs. 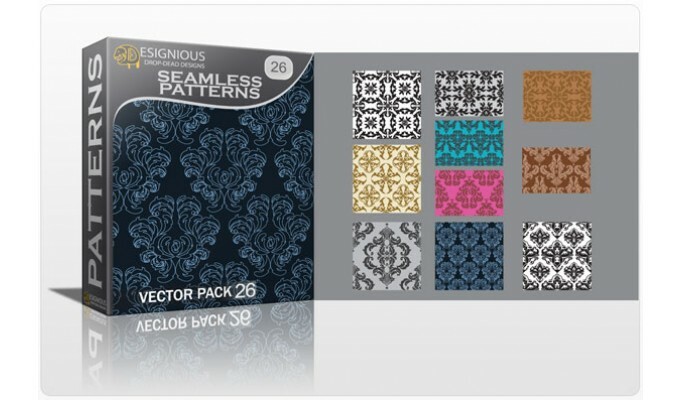 You simply can't go wrong with this huge pack of vector patterns! Grab it for FREE today! These patterns will always be a reliable resource for a quick background or a texture in any of your designs. One thing that make these patterns more user friendly is the vector format, which allows every pattern to change size and color easily. 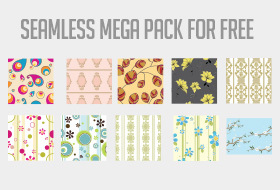 Here are the previews of these seamless vector patterns by Designious! Creating seamless backgrounds and wallpapers is just a click away. So don't wait, just hop on for the joy ride.